Authentic Live Entertainment was launched during the early part of 2017, but it’s only now (August/September 2017) that we are seeing the live shows being streamed online. When the press releases came out there was a lot of hype. I’ve been sitting back since then waiting for the live shows to begin so I could perform a review of Authentic Live Entertainment. What is Authentic Live Entertainment? 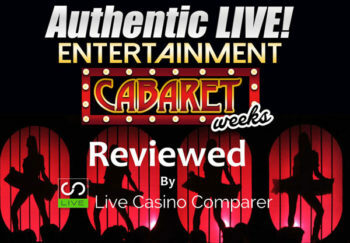 Authentic Live Entertainment gives you the opportunity to play live roulette streamed from a land based casino while watching a cabaret show at the same time. It’s not a new phenomenon, as land based casinos have been entertaining their guests as long back as the 1950’s. 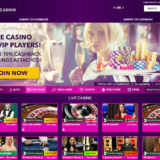 Authentic Gaming is the first Live Casino supplier to bring this online. I truly think they have a great product which I describe and . and you’ll see Authentic Live Entertainment will prove to be very popular. I have to admit I was a bit skeptical about how this would work online. But quite honestly, I thought it was great and even found myself humming and tapping my feet along to the music as I played. Where is the Show streamed from and how often? The Show and the Roulette tables are streamed from the Casino International, which is located in the Hilton Hotel in Batumi, Georgia. 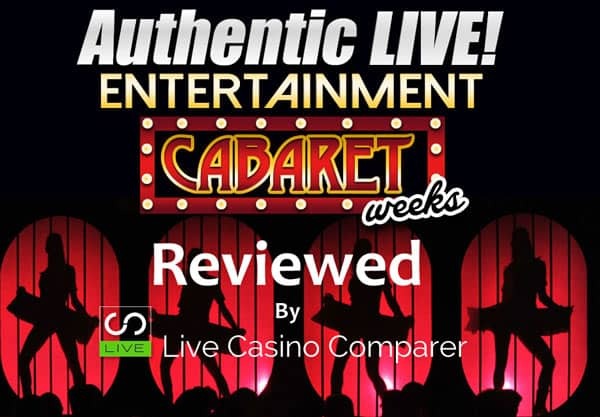 The Entertainment is streamed every night until the 3rd September, with headline acts the IT Girls and the Paris Cabaret Group performing on Thursdays. I caught the beginning of the first of the performances at 21:30 CET and was on my way to bed by the time the second show started at 23:00 CET. The stage is located in the middle of the Casino floor amongst all the slot machines and table games. The idea is that you’re entertained while you’re gambling. The last thing the casino really wants is you leaving and not playing.! There’s a series of cameras setup and I assume they are controlled by computer, as there is a lot of switching between different angles and closeups as the show progresses. The really cool thing is how they’ve integrated the streaming of the show into the Roulette playing interface. At times you get a picture in picture image of what’s going on, normally when betting time starts or when the ball is in the wheel. At other times you get a full image of the show while the table layout and betting options are displayed along the bottom of the screen. The picture and sound quality were excellent considering I was watching over my dodgy broadband connection. Some of the rendering of the wheel was a bit out of focus, but I put that down to the camera being used. I was amazed at how lightning can make such a difference to the viewing experience. The red lighting made the viewing quality worse, while the white light made everything sharper and much more watchable. I particularly enjoyed watching Joe Public walking around in front of the performers, oblivious to the fact that everything was being streamed online. If you’re from outside the UK I’d encourage you to visit the Authentic Live Entertainment Tables, even if it’s just to watch a show. 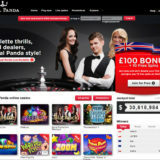 As you know I’m based in the UK, so cannot normally play Authentic Roulette, but managed to by using a VPN and some other clever stuff to give me access. The playing interface is really good, in fact it’s one of the best I’ve used playing online roulette. 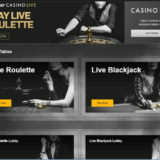 Leo Vegas & Unibet both have Authentic Gaming Roulette tables and have signed up for access to the shows.